I’m an AoT newbie and it feels great! It is not very often that one gets the chance to start a new track and then… this week I find myself in Amsterdam with some twenty European colleagues. 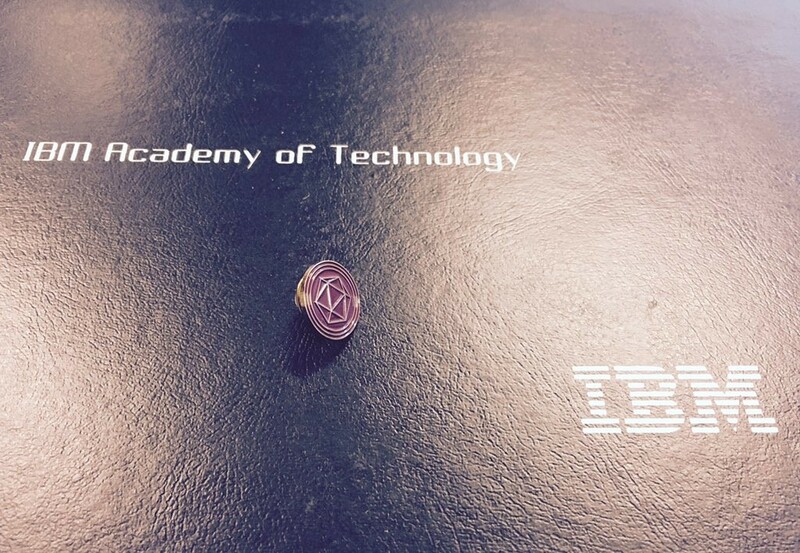 All of us were just elected to the IBM Academy of Technology (AoT). Being part of this worldwide group of around nine hundred technical IBMers is a real privilege. It is also a fantastic opportunity to find out what amazing things we are doing in IBM. One colleague is making sure shipping containers arrive safely at their destination across the world, another uses sensors and analytics to help the elderly. One builds robots, another gigantic lakes full of data. Regardless of our background or age, we share a curiosity, an eagerness to explore and learn. The openness and collaborative spirit works energising. No wonder then that new friends are made, ideas exchanged and plans for collaboration set in motion. Needless to say I’m really looking forward to contribute to the AoT !